Although Emma and I enjoy going on the hunt to find wildlife, sometimes wildlife just comes to us. In a previous blog post we shared our experience of finding a green woodpecker at the bottom of the garden and then a later experience meeting his family (see here and here). Our attention was captured by their calls which set us off down the garden to investigate. For the fox, the same was true. As a child, I would often hear from my bedroom window haunting sounds echoing through the night. We now spend a lot of our time working at night out in the field and have become accustomed to this strange and ghostly cry. The sound is, of course, the call of a red fox. Early one morning after hearing these calls all night, I reached for the long lens and was surprised to see a beautiful red fox sitting slap bang in the middle of a field staring straight back at me. With our house high on a hill and our bedroom window looking out over the same fields below our garden, we had a good vantage point to keep watch. 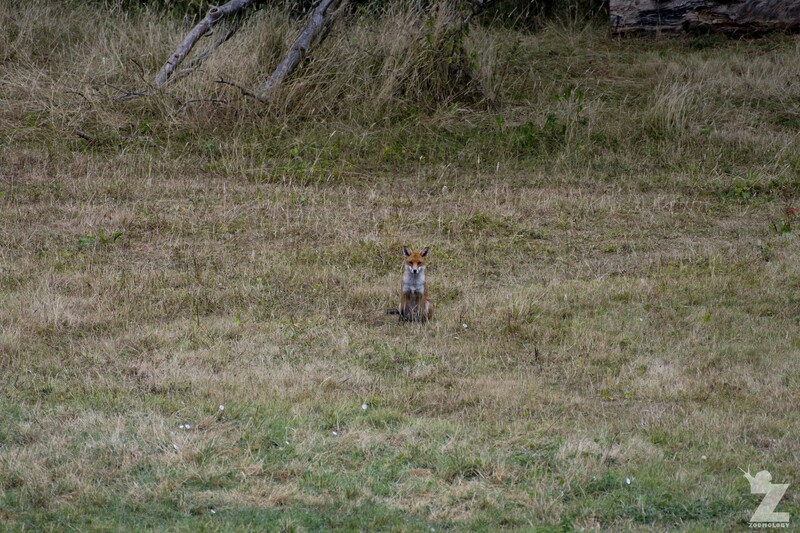 Every available morning and evening we kept a look out and regularly saw not one but three foxes. One seemed to be the vixen and generally vanished as soon as I opened the back door, but two young foxes (presumable her rapidly growing cubs) were a little less wary of my presence. In saying that, they always spotted me and darted for the dense hedgerow before I could get the portrait I wanted. Over a few evenings of trying, I was able to get closer and closer. 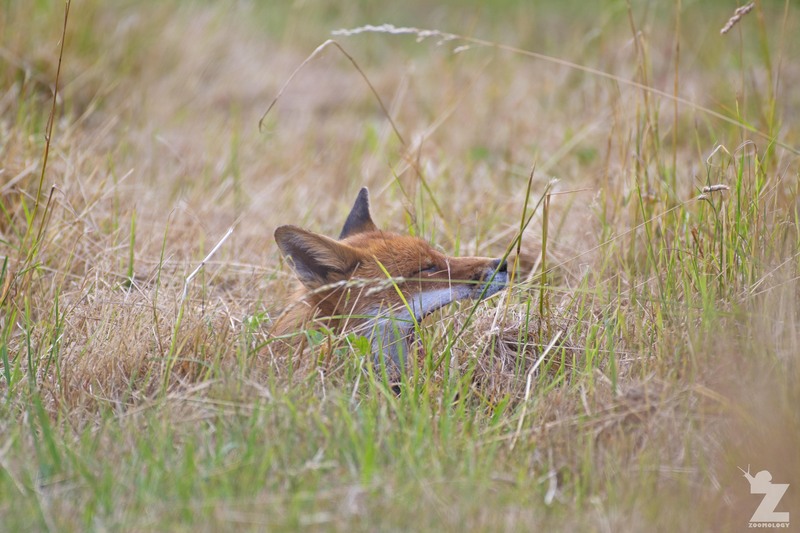 One evening, we noticed the two young foxes sleeping out in the open. With camera in hand I ventured out. I kept low and crept closer, using the tall grass and hedgerow as cover. 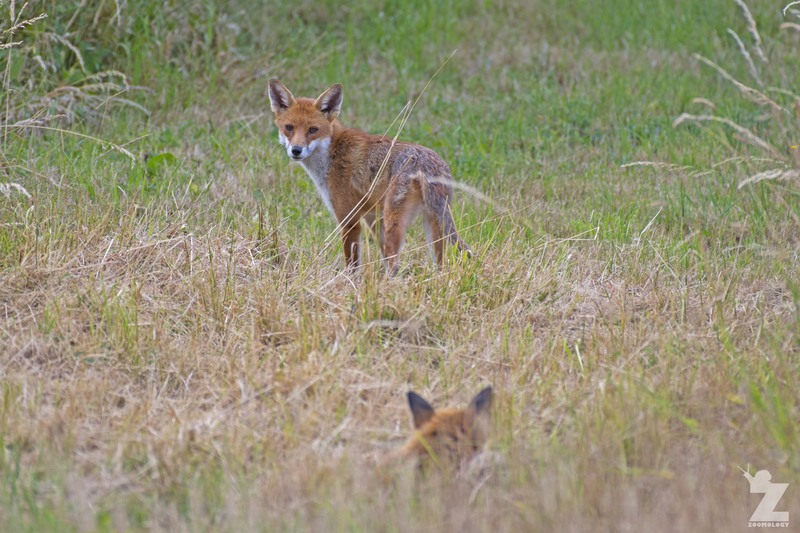 One of the cubs suddenly noticed me and made a dash for the far wooded area leaving the second fox behind. Despite being confused as to why his/her sibling had upped and left, the remaining cub yawned and settled back down. Eventually, its ears twitched and its nose shot up. The cub knew something wasn’t quite right. It sat up and stared at me. I was probably 10-15 metres away. For some time I watched hidden behind my giant lens. It was great to see the expressions change on the little one’s face as slight confusion and bafflement turned to complete surprise. Within a instant of realising what I was, he/she hot-tailed it after that sibling. Why don’t some people like foxes? To be honest, Emma and I would absolutely LOVE it if the foxes moved in! 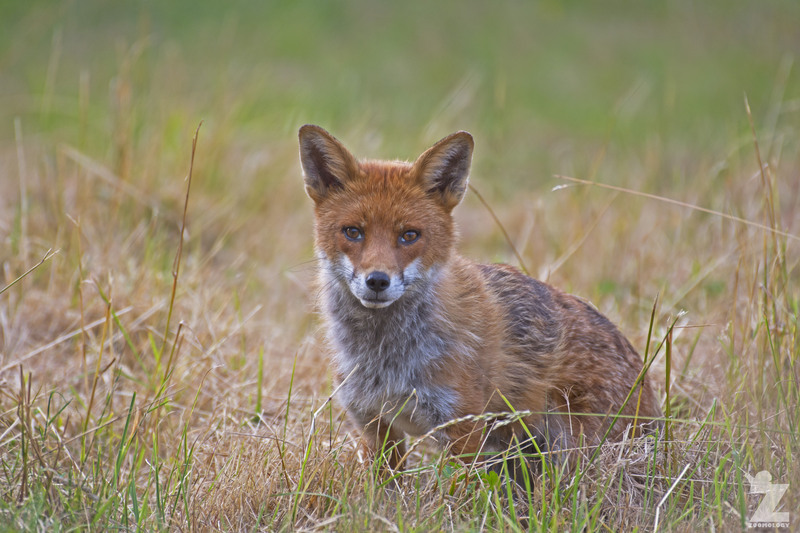 If you love foxes as much as we do, you may recognise some of these children’s stories: Roald Dahl’s ‘Fantastic Mr. Fox’ and Beatrix Potter’s ‘The Tale of Mr. Tod’. Another one of our favourites is Collin Dann’s ‘Animals of Farthing Wood’ series which you see below. Do you have any other favourite foxes? Let us know in the comments below! Hi Pam. Of course, Dr. Seuss! No socks on this fox sadly 😛 . I guess it gives me something to aim for next time. Wow what wonderful pictures. 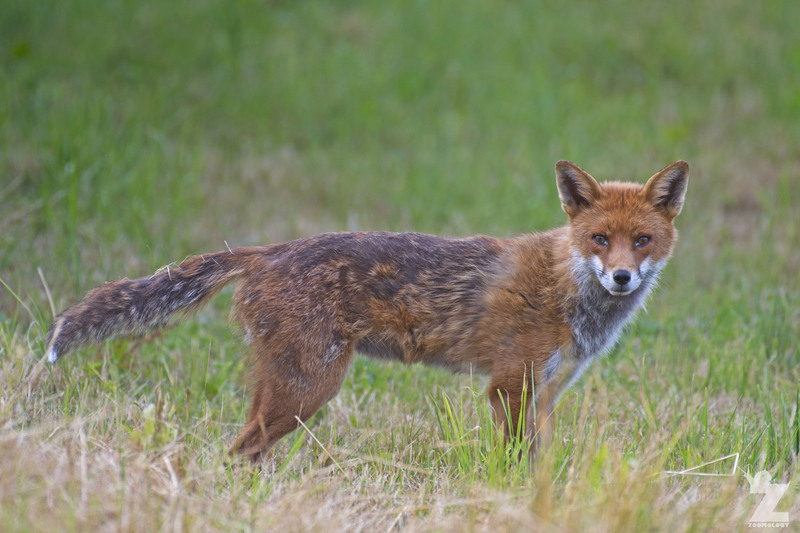 Its a long time since I have seen a fox where I live ( a country town , but not far from fields) though I have seen them on the banks of the Thames in Fullham, London at dusk, whilst visiting friends. I love foxy stories. How about The Fox and the Hound. Also Basil Brush. Boom Boom! night leaving the road and into hedgerow as we drive about looking for bats with our work. I loved ‘The Fox and the Hound’ as a kid :). I wonder if ‘Basil Brush’ still has a TV program? Lovely pics of handsome creatures. I love the intensity of its expression in the close encounter – must have been pretty intense for you too. So sad that the more adaptable creatures tend to be the most persecuted by us humans. It was pretty intense to get that close without being noticed. I think a lot of it was luck, but I was definitely on top ‘sneak mode’. I find it hard to believe that the blood sport of fox hunting is still something that happens here (even with some legislation attempting to protect their supposed ‘welfare’). It was a difficult one, trying to photograph them without bringing too much attention to their whereabouts. I could have easily, unintentionally, had them shot by the farmer. I have decided to leave them be now to mitigate such outcomes. Just watching from the bedroom window from now on. Thanks Tom. I understand all you say. It is a tough world out there. Wild animals are all too often and so undeservably and unwittingly on the front line. What a lovely, unexpected encounter. I am so glad you were able to capture a few photos before they ran off, and so glad I got to see them. It was a lovely encounter. I am hoping to be more onto it next year and catch the new born cubs coming out of their den. Thank you very much, Sanna! Spooky lil fellas 😉 Loving the photos though, great work! Love your dedication to getting the perfect shot.